So far everything works great . Only complaint is that blasted little access door . Are you supposed to tab over those little tabs that keep it in place ? Guess the directions are about non existent. For the price it is a bit up there but the next level popper is way up there, this is the best at this price . If I had it all to do over again yes I would still buy this model . Makes awesome popcorn very fast and easy to do . The Great Northern Movie Matinee Popcorn 8 ounce machine is great. I decided to purchase this one after reading reviews on this machine as well as other manufacture's popcorn machines. I am glad that I did I chose the Great Northern machine! It is the "Real Deal"! 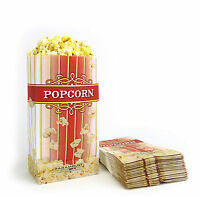 Nicely constructed, looks great and makes very good movie style popcorn. 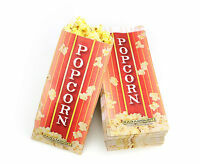 Comes with popcorn scoop, popcorn serving bags, measuring cups and popcorn serving box containers. My wife has always wanted a popcorn machine and she is completely trilled with this one, as am I. I have read a few negative reviews on this machine and after purchasing it, I can't see why the negative reviews were written. 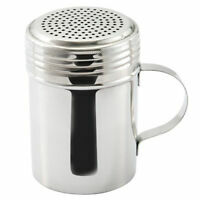 It is exactly as described and a wonderful machine to have in any home or business! I assumed this popcorn popper would be larger, since it uses the 8 oz packs of premeasured popcorn, but it's so small you can barely get your hands in it to put popcorn in the kettle or to fill bags when corn is popped. Also, parts of the construction, such as the handle on the cart and the lid on the kettle, are made of a thin, flimsy sheet of metal. Other than these issues, it worked well and served the purpose for which it was purchased.